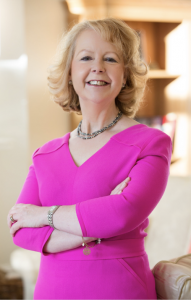 For the second in our series of headteacher interviews, we are very pleased to introduce Julia Harrington, Head of Queen Anne’s School and Founder of BrainCanDo https://braincando.com/ to share her thoughts on educational neuroscience. The developments in neuroscience in the last two decades have given us a much improved understanding of the human brain and its functions, albeit the brain is still very much a mystery! I believe that this greater knowledge and understanding has direct and indirect applications for the educational sector which, after all, is based in the ‘engine room’ of so many young brains, working to help them develop to flourish both in terms of mental health and their learning and development. Not to have a knowledge and understanding of this is not just a missed opportunity, it is arguably at best bad practice and at worst downright negligent! At BrainCanDo we are involved in active research with our university partners. I also keep up to date through journals, conferences, websites which I seek out on this topic. I would particularly recommend the journal Impact [produced by the Chartered College of Teachers] which is excellent. How has neuroscience understanding helped in your school? We have written our own Teacher’s Handbook. It covers topics such as memory, stress, music and the brain, biological rhythms and flipped learning. This explains the neuroscience and psychology behind these areas and then gives ideas and guidance on how to apply in the classroom. Our teachers also conduct their own small scale research through Learning Study Groups, analysing their findings and feeding back to students and staff. How do you get students and teachers involved? Firstly through making sure that BrainCanDo is firmly rooted in all of our practices and training for our staff. The Handbook has helped with this, but it is supported by inset training and work around sharing good practice. The students are also given training throughout the year on different strategies for learning and mental health and how this relates to understanding the brain. This is delivered by our in-house team. We also talk about brain function at assemblies, tutor sessions etc. Are there areas where you think the research should focus next? We are continuing with our work on music and the brain, looking at ‘character’ education and what this actually means and links to brain function/psychological belief systems/emotional contagion and regulation. I would like to see more work on education for adolescents on emotion regulation feeding into positive mental health.